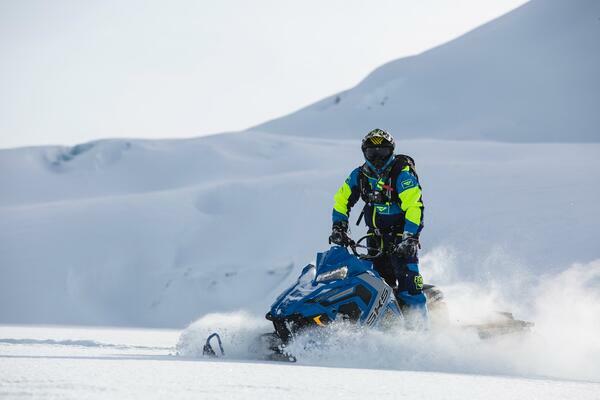 This year is already looking like a fantastic season for snowmobilers! Every year, more and more businesses accommodate snowmobilers and snowmobile clubs produce some of the best trail maps ever seen up in the White Mountains. If you’ve been interested in snowmobiling in the past, now is absolutely the time to get involved. Right in Lincoln, there are two tour companies that rent snowmobiles and lead tours throughout the local trails. Restaurants, storefronts, and resorts have parking for trailers, and there are three fuel spots in downtown alone. RiverWalk was recently added to a list of resorts that are considered an official snowmobiler stop for convenient location to corridor 11 and trailer parking options. 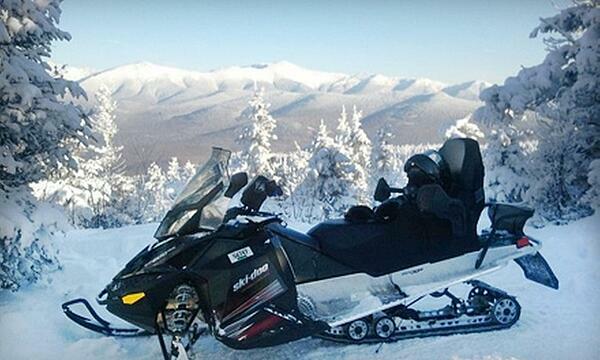 RiverWalk Resort is an official stop on New Hampshire’s official Snowmobile Trail System. Parking for snowmobile trailers is available for guests of RiverWalk Resort to start their journey at home base. Sledventures and Outback Kayak, both Lincoln based businesses, host snowmobiling tours for guests visiting the White Mountains region. 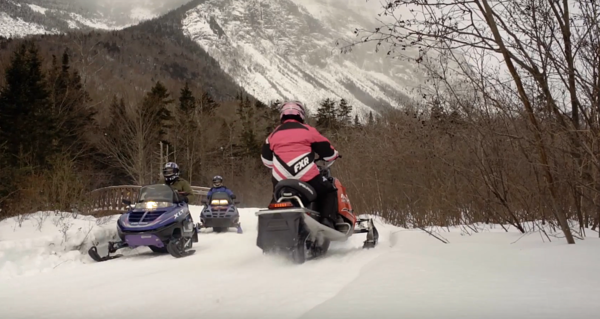 The White Mountain Snowmobile Club, also based in Lincoln, manages the maintenance of snowmobiling trails throughout the region. 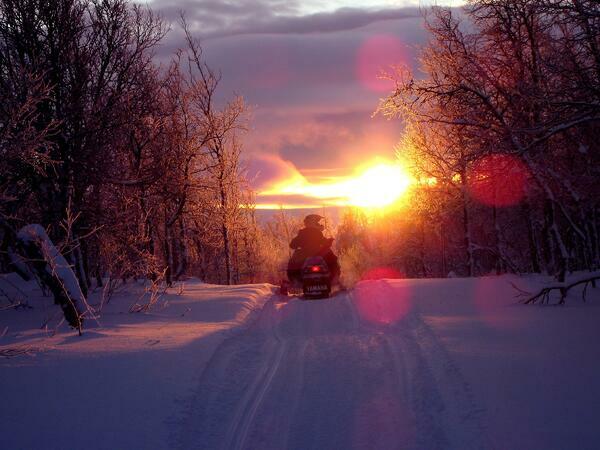 There are more than 7,000 miles of snowmobiling terrain throughout the state. Lincoln-Woodstock has some of the most lodging and dining options on the snowmobile corridor in the state and being right off I-93, it’s easy access. 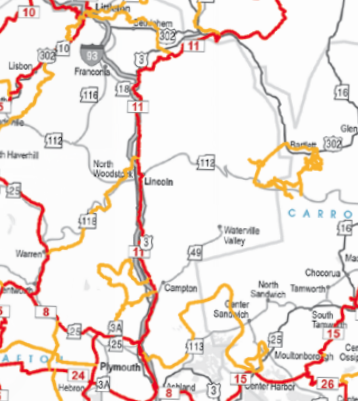 Corridor 11 is the main corridor that runs through the Lincoln-Woodstock area. One of the most scenic and spectacular trails as it runs right through the downtown and alongside RiverWalk Resort. Corridor 11 is also known in the summer as the famous Franconia Notch bike path, so as a paved path it continues into the winter as a solid base. It runs alongside treasured gems such as The Basin and The Flume Gorge as well as breathtaking views of Cannon Cliff and nearby access to Boise Rock. Visit the historic Old Man of the Mountain Memorial Viewpoint. Before reaching Franconia Notch you can also access a popular side trail to Bog Pond from North Lincoln. This trail is a bit more technical, but is certainly worth the effort for the unbelievable views of and wide open expanse of Bog Pond. Whenever planning a trip that includes snowmobiling on water, always check with the local snowmobiling club for safety conditions and to be sure the body of water is frozen solid. After Franconia Notch you pass through Twin Mountain, head towards Mt Washington for an impressive variety of trails or ride to Littleton for some more dining and trailside options. Above the notch, the opportunities are endless and Lincoln-Woodstock is the base of all the action. The Cherry Mountain Trail is located near Twin Mountain and is a very popular snowmobiling spot. Ride to the end of the trail for some exceptional views of Twins. Another great snowmobiling path is Base Road to the base of the Cog followed by a dinner at Fabyan’s, a popular restaurant for snowmobilers located within the Omni. Fill up on fuel while in Twin Mountain before you return to Lincoln at the couple of options in town! The sun sets early these days, so be sure to have your night gear handy for a long day trip if you’re riding home after dinner. Snowmobiling in and around Lincoln-Woodstock is a favorite pastime for locals and visitors alike! Join us this year exploring the White Mountains for an amazing winter vacation filled with adventure. Here are more resources for you to look through. Local businesses, snowmobiling maps, the local snowmobile clubs, and tour groups. While you’re planning this extraordinary getaway, be sure to reserve your suite at RiverWalk Resort before the professionals get to them first. RiverWalk Resort is an official stop on the NH snowmobiling maps! Here are some local businesses to check out while you're in town. Dining - La Vista Italian Cuisine, One Love Brewery, El Greco’s Pizza, Flapjack’s, Gypsy Cafe, White Mountain Bagel, Black Mountain Burger Co, The Common Man, etc. Gas - Irving, Mobil, 7 Eleven.